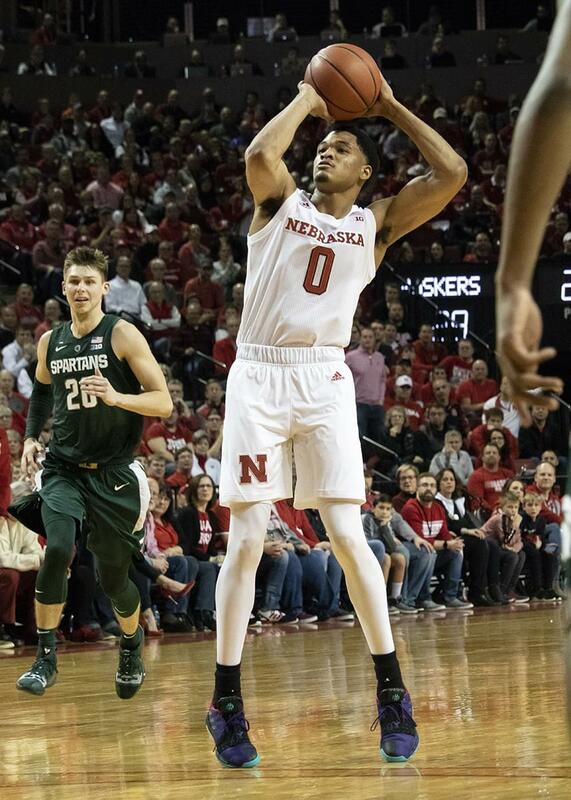 Nebraska guard James Palmer, Jr. attempts a three-point shot in the first half of Nebraska’s 70-64 loss to Michigan State Thursday night. 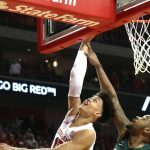 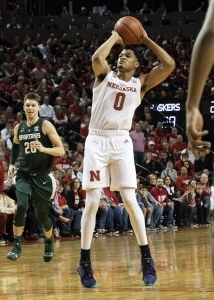 Palmer led the Huskers with 24 points (photo by Kenny Larabee). 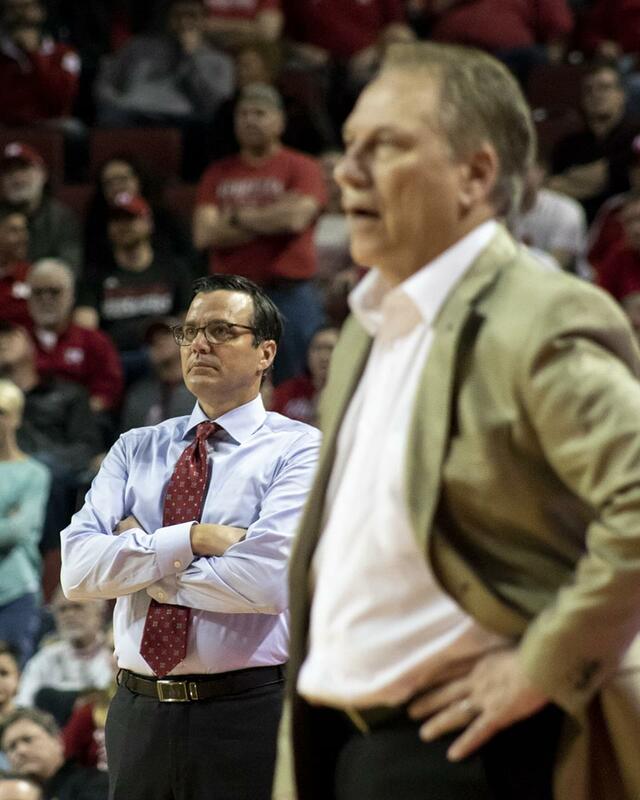 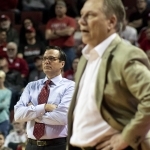 Nebraska Head Coach Tim Miles (left) and Michigan State Head Coach Tom Izzo survey the action during Thursday night’s game (photo by Kenny Larabee).